Back in 2013 when I entered to my very first competition, I was able to manage to win the National Champion title. I considered it as a massive success, also my first International gold medal winning the Amateur Olympia in Spain, Marbella. I was curious as the brand name appeared very often lately at the large EXPO's and events. Also it has been recommended to me by my friends. I was amazed by the massive variety of products and flavours the company offers. After all I figured the quality of the products are very high standard! How Do The NUTREND Products Can Help You In Sport? 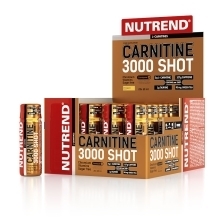 The sooner you're able to recover the better results you're gonna get. 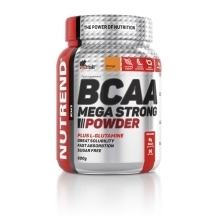 The importance of the high quality supplements this company offers is the key to success. 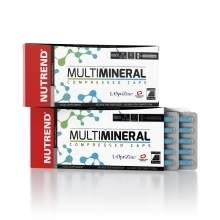 Energy level boost, Weight loss, Muscle gain, you name it, NUTREND has it all! 100% Whey Protein is my favourite, apart from that it has the right amount of nutrition to supplement my muscles, I use this product to cook healthy pancakes, muffins, it helps me to stay on track with my diet, I'm also using it as a treat. How Do You Prepare Yourself For Contest? I usually start my prep 8 - 10 weeks out. I'm a big believer of the high intensity trainings. Depending on my actual shape if it's required I train even twice a day, Morning empty stomach cardio session, followed by weight training later on the same day. 3 Leg session and 2 upperbody workout is my weekly routine. My meals are really simple and strict, I eat up to 5 times day "clean good quality food only". I always learned something new about myself each time I entered to a new competition, but the milestone in my competitive career is definitely my first competition. Opened a new chapter in my life! My goal is to live my dream and truly master life! I'm constantly striving for perfection, I wish to better my physique, educate myself, and live healthy lifstyle in general. My goal would be to inspire others "Don't just live your life, LEAD IT!"